TSLA: I have not been shy to call out quick shorts, and when it was selling off, I was looking to go long. But my biggest mistake was using the wrong Moving Average. A few months back I was looking toward the weekly 50sma, when it was really the 38sma. TSLA has momentum written all over this sucker, and today's pump by Morgan ain't helping. But there is fundamental validity to the stock. 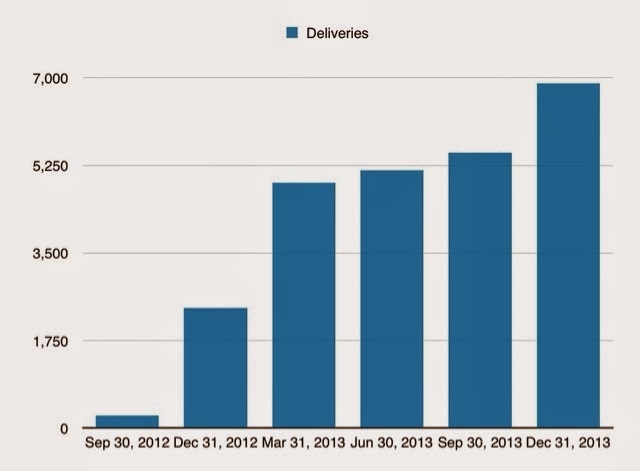 Around March 2013, tsla started to see revenue and deliveries break out. Barring a hiccup, tsla should keep riding the 5sma, on the weekly. A solid consolidation will have it retest the 190 level, allowing for a good buy-hold type entry. And negative chatter, like the fires seen late last year, may allow for it to see the 38 sma, on the weekly, allowing for a price pount to go in heavy. While waiting for the major consolidations, the plays are around the 5-10sma of the weekly. FB: A super bull when no one wanted the stock, now very cautious because the pundits seeno wrong in a very questionable, expensive acquisition. 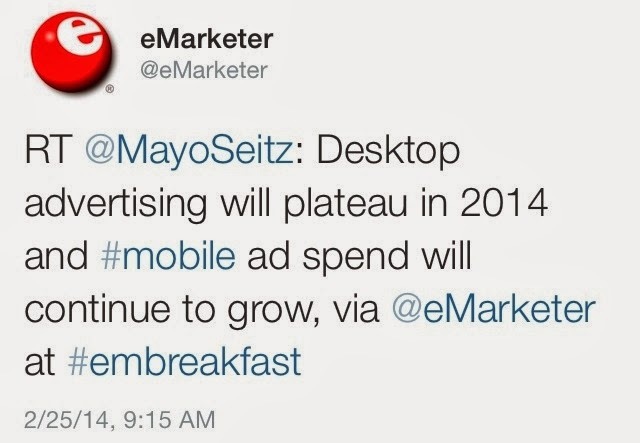 Desktop ads are projected to flatline this year. Looking for a hiccup, and wanting to enter at the weekly 38 sma. AMZN: looks interesting here. 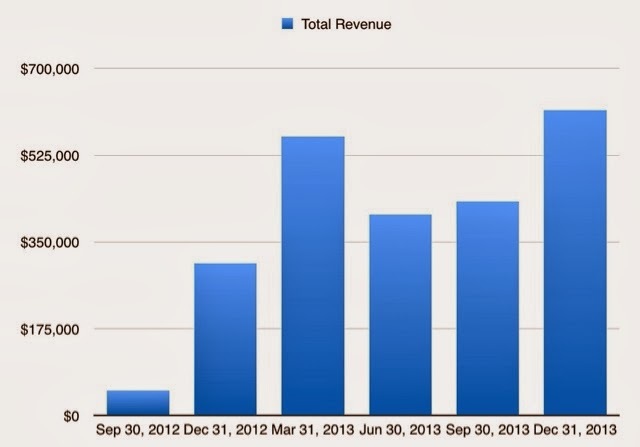 Revenue growth trends are still on the side of longs. Next levels of support, or entries, ars the 50 and 90 sma on the weekly. Ebay: waiting for a quick retest near 52. Or it breaks out.